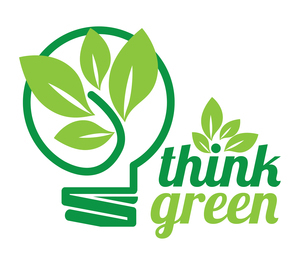 The Green Deal is a government incentive put in place to help homeowners in England, Wales and Scotland to install energy efficiency measures in their properties without any upfront payment. By making energy improvements to your home, you can save hundreds of pounds on your gas and electricity bills every year, make your home more comfortable, and reduce your carbon footprint. Repayments for the money borrowed are made through your utility bill savings. There is often a lot of uncertainty among homeowners about the Green Deal, with many feeling nervous about the prospect of taking on the finances for energy efficiency installations. But, many of the reasons and ‘facts’ that cause this uncertainty are often untrue. Read on to find out what’s true, and what’s a myth, when it comes to the Green Deal. According to Government research, homes that have an EPC rating of B are valued on average £16,000 more than homes with an EPC rating of D or lower. Potential buyers will also be interested by the lower utility bills. For landlords, Green Deal improvements can also help to attract tenants, as energy bills may be cheaper than in other rental options. Unlike a lot of energy efficiency funding, the Green Deal is available to everyone. In fact, an estimated 80% of UK homeowners should be able to qualify for Green Deal energy efficiency improvements. The Green Deal Golden Rule protects homeowners against unmanageable repayments. The loan repayments must be equal to or lower than the total savings you will make from your utility bill savings. You will not be encouraged to install an energy saving measure where the repayments are greater than your energy savings. If you are at all unhappy, or are given incorrect advice, and cannot resolve the situation with your supplier, then you can take your case to the Energy Ombudsman. Green Deal Assessments are covered under door-to-door selling regulations, meaning that you have seven days to change your mind after signing up. Any tradesmen needed to help install the energy saving measures must be members of schemes such as TrustMark, ensuring you additional protection. The repayment time scale can vary from 10 – 25 years, on the basis that you stay in the same house. This may sound like a negative thing, but long term repayments help to keep costs down and mean that you avoid paying lump sums that you may not be able to afford. Technically, you do not actually pay back a Green Deal loan - your energy provider does. Some costs, however, will be claimed back from you through your energy bills, but it will not cost you any more than your energy currently does. You will only pay, at worst, the same amount as you do now for your utility bills until your loan has been paid off, and then you will reap all the benefits of your bill savings. Your Green Deal Assessor will recommend the improvements that are best for you and your home, as well as the savings you can expect to make. This way you can make an informed judgement on which energy saving improvements will best suit your property. The Green Deal loan is attached to the property that improvements were made to, and not to individual people. So, if you move house after having Green Deal improvements done, the repayments will transfer to whoever moves in after you. This enables you to make the most of energy efficiency improvements in any future properties, if need be. Often, you can incur penalties from making loan payments early. But this is not true with the Green deal. Any loans taken out after May 2014 will not occur any early repayment charges, no matter the length of original loan agreement. So if you can afford to pay a little extra, you can do so without consequence. Once you and your provider have agreed on a quote then your Green Deal Installer can start the work. You do not pay your installer because the Green Deal is a scheme where the improvements are made with no upfront costs. Your energy supplier is responsible for covering any upfront payments. You do not have to settle with the same Green Deal provider and Assessor, and, it usually pays off to compare the market before buying. To ensure you are getting the best deal, you should get three quotes from three different providers to compare prices and haggle if you need to. Never feel pressurised to sign anything, and take your time when choosing. There is still a lot of uncertainty amongst homeowners when it comes to The Green Deal, but this perception may change in the future. UK Energy consumers must learn to better understand the Green Deal incentive and the benefits it could bring, and separate the truth from the myths. Naomi Stevens is a writer passionate about helping people make their homes more energy efficient, to save money on their utility bills. For the latest information and news on the Green Deal, visit her at the Green Deal Upgrade on Facebook and Twitter.